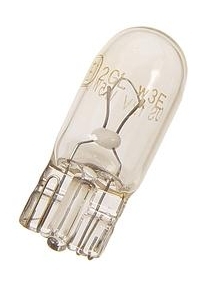 Where to buy W5W Bulbs? Autobody, Lighting, & Structural Tech This forum is brought to you by RPM Electronics in Burnaby. Discussion about modifying your auotomotive lighting, retrofits, auto body, share projects, ideas, etc. I'm looking for W5W bulbs for the daytime running light of the car. I did a quick search of the forums but nothing showed up. Does anybody know if places like Home Depot or Rona have them? If not, where can I find some locally? Also.. My friend said that daytime running lights can only be white light? But I did a look up in the police forum in it says otherwise. What can the daytime running light color be? No Home Depot and Rona are HOME improvement centres. Try Canadian Tire or Lordco, they will have them in stock. Do you guys know about the colors for the daytime running lights though? Im not sure these are for your DRL. 168/194 are usually for license plate, side markers, etc. try looking here for the right bulb. Just like any low beams? White / yellow? You won't be able to get colored ones locally at least from autopart stores since they only sell DOT approved ones. i THINK i have a pair sitting somewhere. I'll go check. If I can find them u can have them. I believe they'r blue. Would u like to pick them up?